WiiWareWave Update: Xenoblade Chronicles X Theme Is Now Live! We are no strangers to advertising upcoming 3DS and Wii U games with snazzy new site themes so it should come as no surprise that our latest theme promotes Xenoblade Chronicles X for Wii U, which releases in North America next week! What do you think of our new theme? Let us know in our comment section below! Re: WiiWareWave Update: Xenoblade Chronicles X Theme Is Now Live! 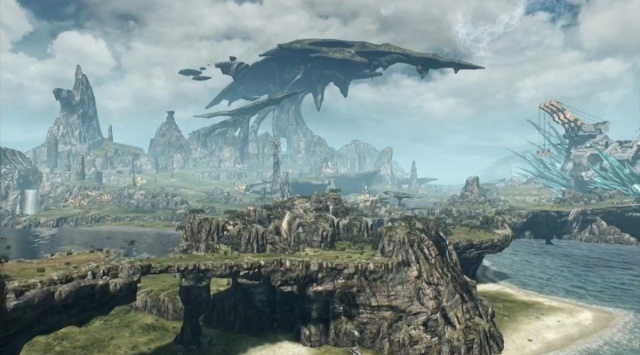 Um...I just saw a Xenoblade Chronicles X advertisement on the forums! I can't actually see the theme right now due to using my mobile phone to post this. The colour scheme is awesome, though. Arter work today im going right on over to EB and dropping the rest of my preorder money on this game. The theme and colors look awesome!